work ecosystems and unlocking productivity, says the report. Sixty per cent of the businesses in the Middle East do not feel “future-workforce-ready”, said UK-based professional services firm PwC in a new report, noting that grasping the rapidly changing world of work is key to the future workforce. PwC's latest report titled “Middle East Workforce of the Future” explores the workplace gaps and challenges that organisations face in the region, and outlines the actions that need to be taken to prepare for tomorrow's workforce, today. Building on its survey and interviews of HR and business leaders across the region, the report found that, by their own admission, leaders are not doing enough to develop future-proof capabilities within their organisations. Those capabilities are centered around three key areas — the future of work; future workers; and unleashing performance. Although respondents in the region were broadly in line with their counterparts around the world when it comes to the importance of key capabilities, the big difference was in how ready Middle Eastern leaders were to deal with them. The lack of preparedness, PwC says, will put businesses at risk in the future when it comes to attracting, developing and retaining talent. Technology is undoubtedly the change of the future - and with that change, comes impact. The report looks at the impact of technology through the lens of both, organisational planning and the impact of AI on work. Overall, Middle Eastern respondents felt 70 per cent less prepared than their global counterparts across all categories outlined in the report. When asked about the impact of organisational planning, only 38 per cent of Middle East respondents admitted to using analytics and planning when making future workforce plans. Further research found that organisations need to create a seamless link where technology can augment human capabilities by developing their human workforce alongside investing into technology, an area where the Middle East is very unprepared. As recommended by the report, when preparing for the work of the future, employers in the Middle East should leverage technology, disrupt their processes to allow their taskforce to innovate and explore. Meanwhile, Middle East respondents seem to be significantly more proactive when it comes to future-proofing their talent, with respondents feeling 45 per cent more prepared than their global counterparts across key worker readiness area. For example, it was found that 88 per cent of respondents in the region agreed that they highly value, develop and reward human skills such as leadership, creativity and curiosity. However, just like the rest of the world, organisations in the Middle East need to make the best use of international expertise which conflicts with the nationalisation agenda of countries such as GCC states. Options for employers include shifting focus from full-time workers to hiring freelancers and part-time contractors. The report proposes that organisations should increase awareness of digitisation and AI integration within their development agenda in order to upskill employees and identify which skills can be developed in the long term and which skills may need to be hired from external sources in the short term. While the region has taken significant steps to embrace diversity in the workplace and raise awareness of its positive impact on organizational success, inclusivity remains a key risk factor that hinders organisational success with progress lagging globally. Most notably in the region, the highest overall risk related to unleashing inclusive performance, was found to be in the use of data analysis to de-bias hiring and rewards. As organisations across the world start moving more towards a co-working relationship between humans and robots, the question of trust, transparency and accountability levels must be extended. The report concluded that in order to boost performance in the workplace, organisations must put a significant focus on inclusivity, fairness, wellbeing, work ecosystems and unlocking productivity. Organisations have tended to respond to these challenges by increasing individuals’ workloads instead of improving performance. Creating the right environment and building trust will capitalise on and attract “digital nomads” and leverage new ways of working. This will restructure employee value proposition to drive value as well as allow flexibility. 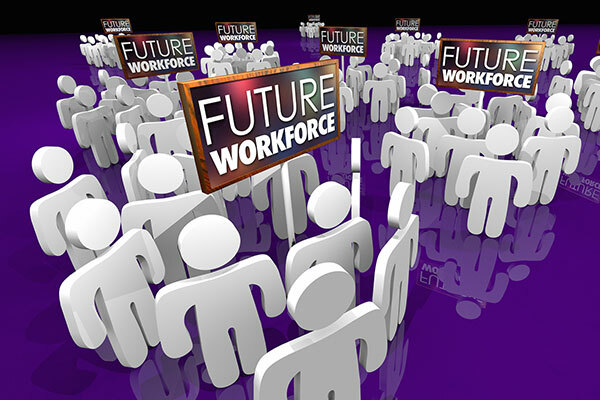 “We have a young, tech-savvy workforce, and unemployment is generally low by global standards. Organisations in the Middle East can leverage on the concept of “digital nomad” and develop the right skills at home to leverage new ways of working. The report outlines what needs to be done by leaders, HR and employees as well to build and introduce the most important organisational capabilities and structures into their organisations,” he added. PwC around the world carries out research to build analysis to better understand the “change” coming forward in order to prepare people and organisations for the potential implications they may face from the competing forces shaping the world and the Middle East in particular.